Hand Carved Pra Mae Nang Kwak Merchant Deity, carved from Sacred Payung Khaw tree-wood, which is a very rare sacred tree with spiny bark, said to be inhabited by the spirit of a very powerful Deva. 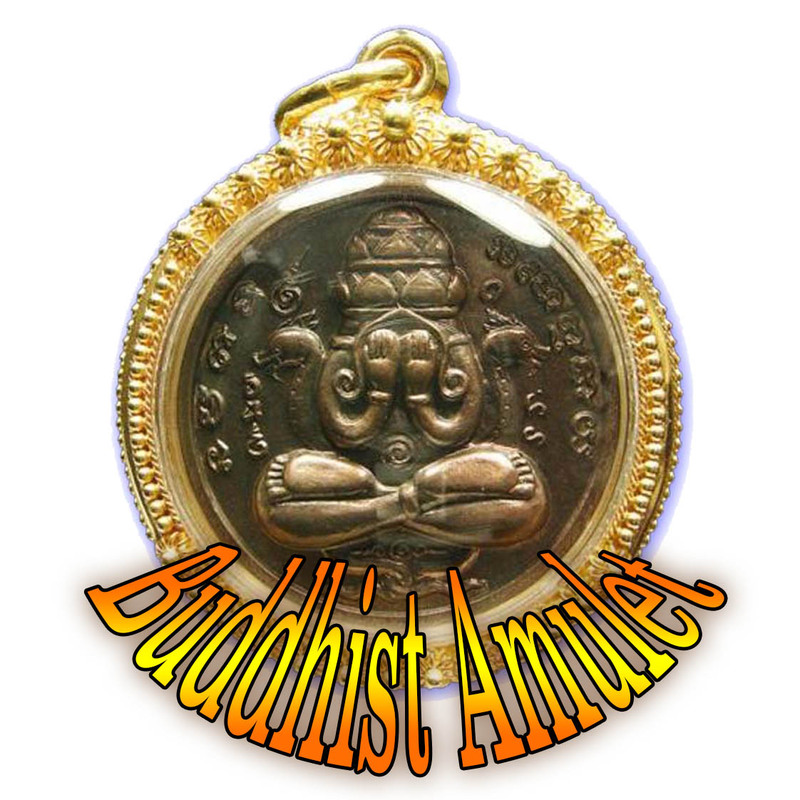 Luang Por Derm was famous for many amulets, but the Nang Kwak is an amulet which has almost become synonimous with his name. 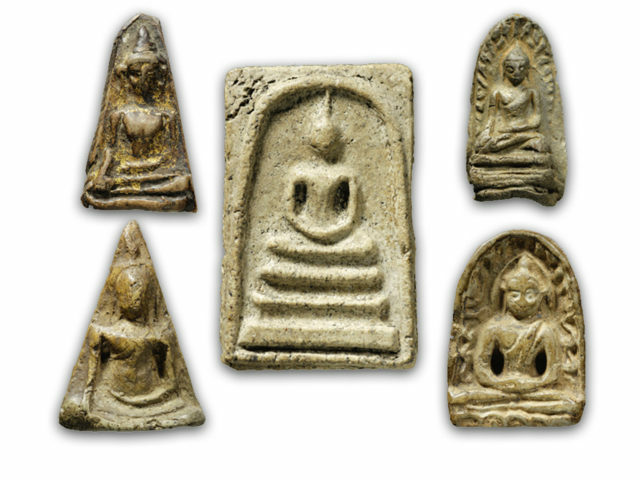 Luang Por made Nang Kwak in various forms, be they Pha Yant, Hand carved Loi Ongk mini statuettes. 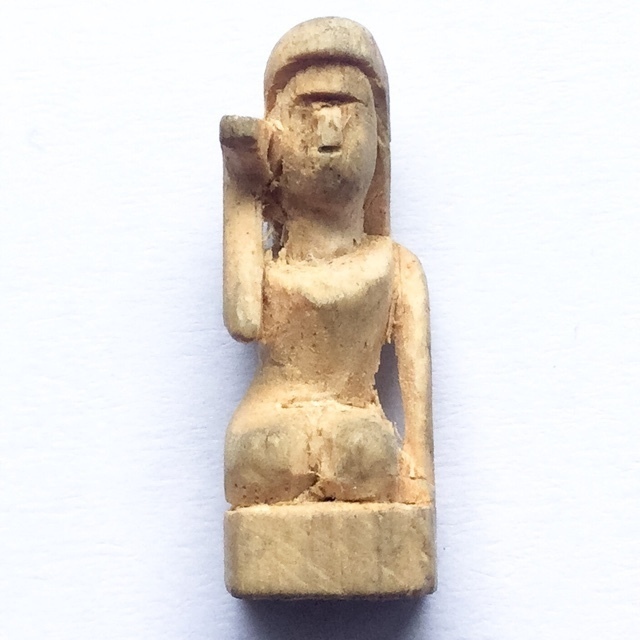 A most original miniature hand carved Loi Ongk statuette, that is an immense Rarity to come across, from the times where Devotees would flock to the temple of Wat Nong Po, to beseech Luang Por Derm to bless amulets. His carved ivory, and wooden amulets are rare items, for they were made by individual Artisans who were Initiated and had received the Wicha, and 'Korb Kroo' Ritual Empowerment as permission from Luang Por Derm himself. Nai Pan was a direct looksit of Luang Por Tao of Wat Nong Po who was an ancient Master Sorceror and Abbot of Wat Nong Po. He studied for seven years with this Master Sorceror, until his passing. Nang Gwak is one of Thailands most commonly seen Deities. Her image is given offerings and prayed to, in order to increase wealth and business prosperity. She is a Deity revered by Merchants in both India and Thailand, by both Brahman, and Buddhists alike. Nang Gwak is the helper of all shop-owners and merchants. She is normally seen placed on a high shelf (normally a wooden or red and gold lintel, called ‘Hing’ in Thai) and offered “Nam Daeng” (a red syrupy drink, often used in Bucha offerings to Deities in Thai Buddhist practice). Also, Incense, and flower garlands are offered to please Nang Gwak, and bring customers and make sales. Kata Nang Gwak is used when paying devotional merits to Nang Gwak, who is used in the place of business to increase the amount of customers and sales you may ingress. Nang Gwak is a very popular magic cloth Yantra used in most business establishments in Thailand. You can also see Nang Gwak worshiped as a statue .